Welcome to this episode of the Real Fast Results podcast! 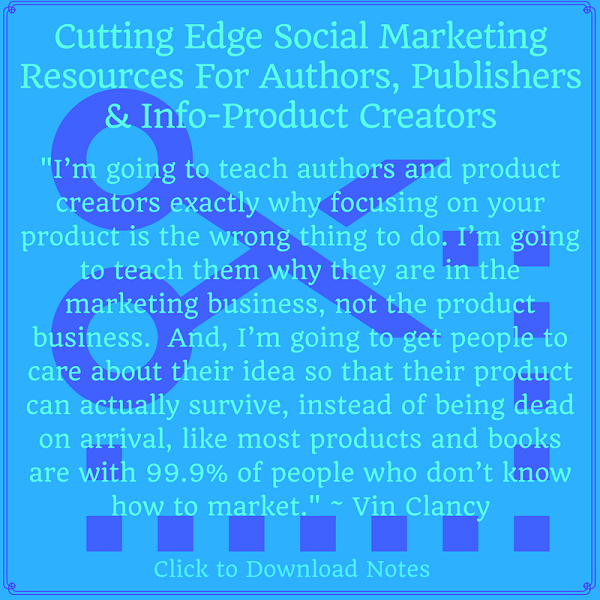 This episode features expert speaker Vin Clancy, who is one of the most infamous marketers in the world. He’s known for his cutting-edge growth hacks and genius business ideas. His growth hacking book raised over $100,000 in pre-orders, which he supported with a 100-day speaking tour around the world. He has spoken at nearly 40 different cities in 10 countries, and he has been featured in publications like Fortune, The Daily Telegraph, New Statesman, Wired, VICE, Inc., and many, many more! I’m going to teach authors and product creators exactly why focusing on your product is the wrong thing to do. I’m going to teach them why they are in the marketing business, not the product business. And, I’m going to get people to care about their idea so that their product can actually survive, instead of being dead on arrival, like most products and books are with 99.9% of people who don’t know how to market. I will be focusing on areas like building a community around yourself, how to use social media channels, how to create buzz before you grow. By the way, I’m doing this with zero paid media. If you want my new piece of software, I have a free growth hacking group “Traffic And Copy”. We’re putting in the latest stuff every single day. So, check out Traffic And Copy if you want those hacks. Also, by the time this goes out, VinClancy.com should be operational. If not, you can reach me at V@Magnific.com. That’s where you can email me if you want links to anything that I’m working on, or any of my stuff, or advice. But, Traffic And Copy is a good place to get me. Unfortunately the company Vin mentioned, Instagress, was just shut down by Instagram. Bummer. This was full of great content. Great interview! Thanks for your kind words Marie.